Ken Clark says he's been running the Ozone Pines water system for about 12 years. A state law set to take effect in 10 days could leave Louisiana with a single clinic providing abortions — the Women’s Healthcare Center in New Orleans — staffed by only one doctor who will able to legally perform the procedure. In 2011, there were 7 abortion clinics in Louisiana. By the beginning of this year, there were only three, due to what pro-choice activists describe as a concerted effort by the state government to restrict abortion access to the greatest extent possible. Now, a law passed by the state legislature in 2014, requiring that doctors providing abortions have “admitting privileges” at nearby hospitals, could mean two of the state’s remaining three clinics will no longer be able to perform the procedure beginning Feb. 4. On Friday, lawyers for the Center for Reproductive Rights announced they would challenge the law in the U.S. Supreme Court. In a last-ditch attempt to block the law, they also filed a motion to stay a Jan. 18 Fifth Circuit Court of Appeals ruling that upheld the law. The group asked that the law to be put on hold until the Supreme Court has a chance to rule on it. State authorities warn that local communities will have to make tough choices — and soon — as they cope with public water systems that are showing their age and falling apart, especially in rural areas Louisiana. Ken Clark says he’s been running the Ozone Pines water system for about 12 years. The options are limited and all of them are expensive. In a 2011 report, the U.S. Environmental Protection Agency estimated a cost of over $5.3 billion to address all the needs of water systems across the state. But the alternative to dealing with aging public water systems now is to recast clean drinking water as a luxury item, no longer to be taken for granted by the public at large and available only to those who can afford to secure their own water sources. One person all too familiar with the high cost of water service is Ken Clark, acting operator of the Ozone Pines subdivision’s water system outside Slidell. 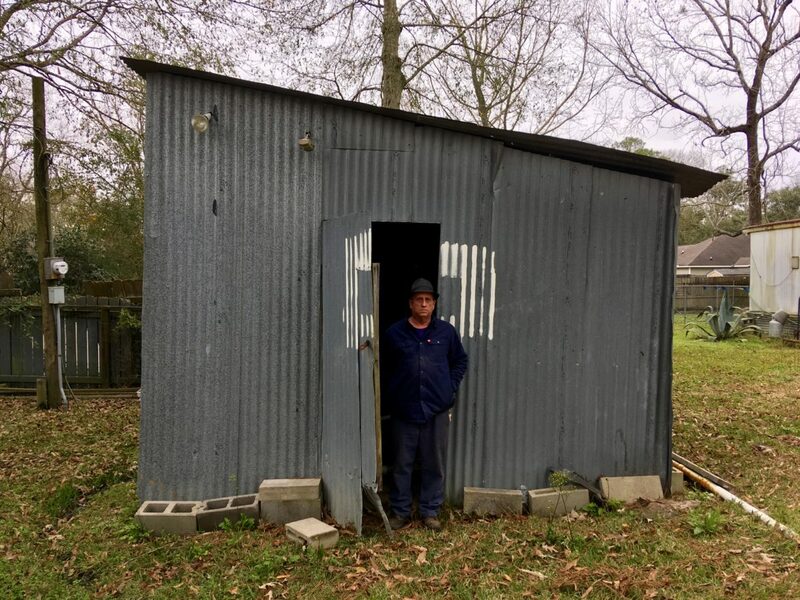 Clark is a boat mechanic by trade but agreed about 12 years ago to help maintain the small well system, which serves about 75 people — living in about 30 houses in the neighborhood — in rural St. Tammany Parish, according to state records. On Friday, the federally appointed monitoring team overseeing the New Orleans Police Department’s federal consent decree — meant to bring the department into compliance with the U.S. Constitution — presented a top-to-bottom review of the progress the department has made over the past six years. Friday’s “comprehensive reassessment” presentation was supposed to happen in 2015, two years into the consent decree, under the terms of the reform agreement. But because the department had made such little progress in its first few years, the hearing was delayed. But according to Jonathan Aronie, who leads the monitoring team approved by U.S. District Court Judge Susie Morgan to measure and assess the department’s progress, the NOPD has now demonstrated gains in every major section of the decree. Aronie’s team now deems the department substantially compliant in 10 of 18 major sections of the consent decree — including provisions covering uses of force, off-duty details and sexual assault investigations. The New Orleans City Council has delayed a vote on a resolution that would repeal its March 8 approval of Entergy New Orleans’ proposed $211 million power plant in eastern New Orleans. The resolution, announced last week, was originally scheduled for a special City Council meeting on Wednesday. But on Monday, Council President Jason Williams and Vice President Helena Moreno announced that the vote will be pushed back to February. On Tuesday morning, the council formally cancelled the special meeting. The move followed critical remarks from Councilman Jay Banks, who asked that the public be given more opportunities to comment on such a major vote. “Reckoning with the city’s past while gesturing toward the future is what mayor Mitch Landrieu had in mind on the eve of the Tricentennial, when he called for the removal of four Confederate monuments. The memorials to the President of the Confederacy Jefferson Davis, Commander Robert E. Lee, General P.G.T. Beauregard, and the 1874 Battle of Liberty Place were inscriptions on the very environment, spelling out for all who matters and who does not. ‘To literally put the Confederacy on a pedestal in our most prominent places of honor is an inaccurate recitation of our full past,’ Landrieu said in a press conference on May 19, 2017.’“It is an affront to our present, and it is a bad prescription for our future.’ With the four symbols now removed, the question still lingering is how we distinguish the past from the present and future, the tangible from the intangible, symbolic change from actual policy.